If you are thinking of using your chickens as a natural deterrent for bugs and weeds in your garden then a chicken moat garden might just be what you need. As shown in the video above you create an enclosed space around your garden where your chickens are allowed free range to walk the perimeter. Any bugs or weeds that enter the space are consumed by your flock on a daily basis as they are protected from predators overhead. I first heard of the method several years ago in an old article in Mother Earth News and it made total sense to me. If you are already going to build a run for your chickens; why not just integrate it right into your garden? Unfortunately building a chicken moat garden can get pretty costly if you have a large growing area as seen in the example above. A more inexpensive method would be to build low chicken runs that you can place around your garden just as Calitucky Farm did below. To see their complete tutorial on their chicken run click on the link below. 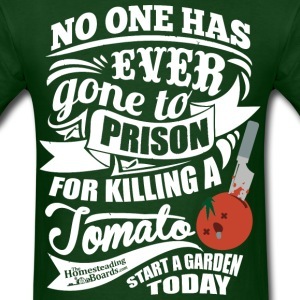 Good luck with your garden this year.